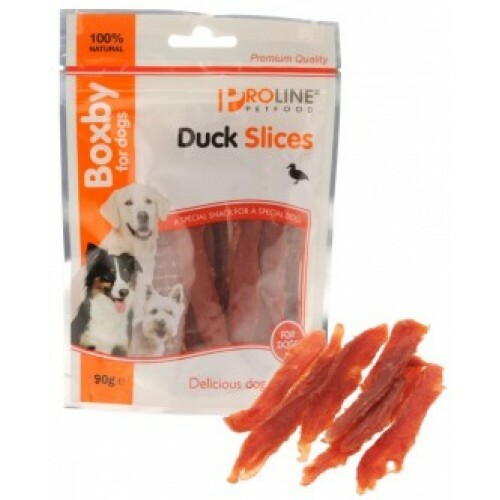 Boxby Duck Slices are very tasty snacks made of duck meat. Dog snacks that contain duck meat are ideal for dogs who are sensitive to other types of meat. For this reason, duck meat is also used in specific elimination diets for dogs. These snacks are also extremely delicious and of a premium quality. Your four-legged friend will love these! Composition: Meat and animal derivatives (duck 94%). oils & fats. minerals. Feeding guide: For dogs older than 9 months of age.